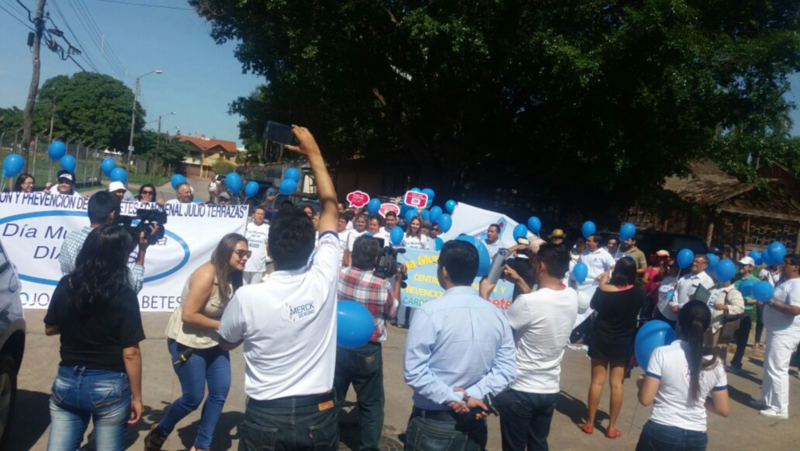 World Diabetes Day 2016 in Bolivia turns into “World Diabetes Week"
World Diabetes Day, November 14, is an annual reoccurring day, where diabetes is in focus. This year’s theme “Eyes on Diabetes” is a theme well aligned with our mission in RetinaLyze: Preventing blindness. Eyes on Diabetes as a theme focuses on promoting the importance of screening to ensure early diagnosis of type 2 diabetes and treatment to reduce the risk of serious complications – including vision loss. 415 million adults currently have diabetes, a number that will rise to 640 million by the year 2040. Diabetes is a leading cause of blindness, over one third of people with diabetes will develop vision loss. Everyone with diabetes is at risk of losing vision, primarily due to diabetic retinopathy – a disease that occurs as a direct result of chronic high blood glucose causing damage to the small blood vessels of the retina. Early detection and timely treatment of diabetic retinopathy is crucial and can prevent vision loss. With this in mind, we at RetinaLyze System have joined the cause to promote the importance of early screening programmes to ensure early diagnosis and treatment. At 9:00 a.m. on November 14, our South American team initiated their free screenings in our office in Bolivia. 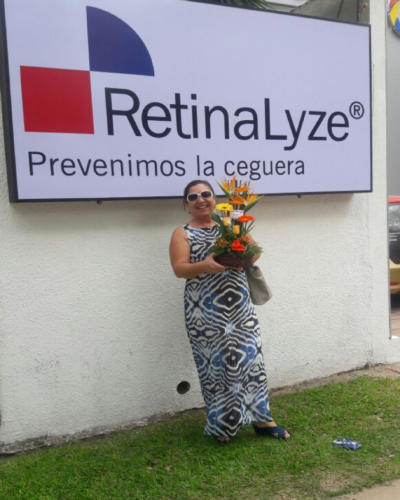 Maria Teresa Perez was the first patient, and she brought a beautiful bouquet for RetinaLyze for being a great health entrepreneur in Bolivia. The free screenings at the office in Bolivia were extended to Friday, November 18. And on Saturday, November 19, we continued our efforts at the Diabetes Prevention Center “Cardenal Julio Terrazas”. During this period, we attended 100 patients, who were very pleased with the received attention and service. Maria Teresa Perez, our first patient, brought a beautiful bouquet for RetinaLyze for being a great health entrepreneur in Bolivia. Currently, regular eye screening begins with primary health professionals, who on Thursday, November 17, joined the cause and hosted a free event in the Semdo office. Here all health professionals of the center presented their take on preventing diabetes, diabetic patient care, nutrition, and physical care. RetinaLyze also participated in this event, where Maria Eugenia Muller and doctor Marcelo Teran explained the advantages of using the RetinaLyze System in regard to prevention. ‍Health professionals of the center in Semdo, Bolivia, present their take on preventing diabetes, diabetic patient care, nutrition, and physical care. 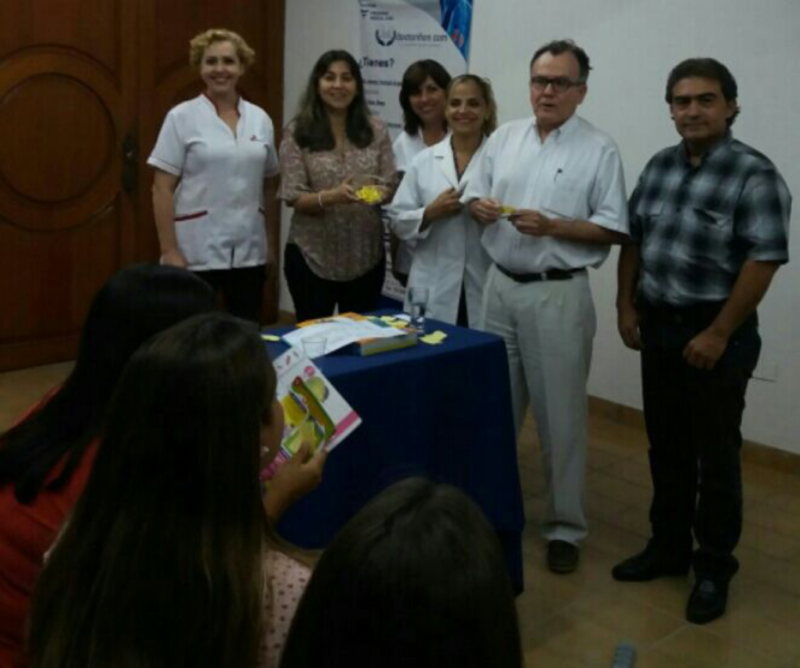 The week culminated with a great event at The Diabetes Prevention Center “Cardenal Julio Terrazas”, organised by The College of Endocrinologist. The event was initiated with a march, where diabetic patients walked together to mark the World Diabetes day. The president of The College of Endocrinologist invited us to participate in the event by providing free screenings in the center in order to advocate for diabetes prevention and show how the RetinaLyze System can be used in preventing vision loss and blindness. ‍March to The Diabetes Prevention Center “Cardenal Julio Terrazas”, organised by The College of Endocrinologist.